We recently returned from a fascinating market visit. Here’s a little overview of what we found. As we all know, India has a rapidly increasing population which is putting more and more pressure on the land. 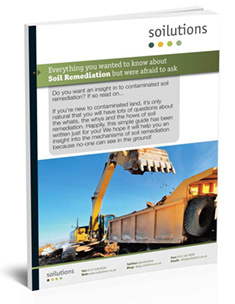 You will not be surprised to know that issues associated with contaminated land and groundwater are coming to the fore. The good news is that the government has been putting regimes in place which have started to address the problems, and the great thing for India is that they are learning from the countries who’ve already been through these issues. Not only that, but they have a stream of foreign consultants and contractors who are flocking to India in an attempt to win some of those contracts. Added to that, we met a surprisingly large number of consultants who were born in India, learnt their trade in USA or Europe, and are now living in India again. The market place is already fiercely competitive. Remediation has been identified as an essential part of the forthcoming Indian landscape, there are several government driven projects in the pipeline which will make headway in to the rapidly increasing industrial impacts. We looked at one remediation project during a recent market visit, this was a large project to decontaminate a lake which has been contaminated from local industries, and was continuing to be contaminated. Local funding is available with further funding from the World bank already in place to start making these changes. While there is a lot of positive news in India’s environmental sector, there was/is one major flaw in the plans. The drive to clean up is there, the drive to prevent contamination happening, and worse a recurrence in remediated areas, wasn’t. Our trip coincided nicely with a headline in the Delhi newspaper (another good sign that the Environment is in the public eye), reporting outrage that several million GBP had been spent cleaning up the main river in Delhi, which had previously been contaminated with sewage amongst other contamination, to no effect as it was back to square 1 within a year of project ‘completion’. The problem was that they hadn’t sorted out the source. A similar issue was set up to happen on the main project we are looking at. Will the money be spent before the source is stopped? At least bioremediation should be quicker to run than it is here in sunny Scotland.